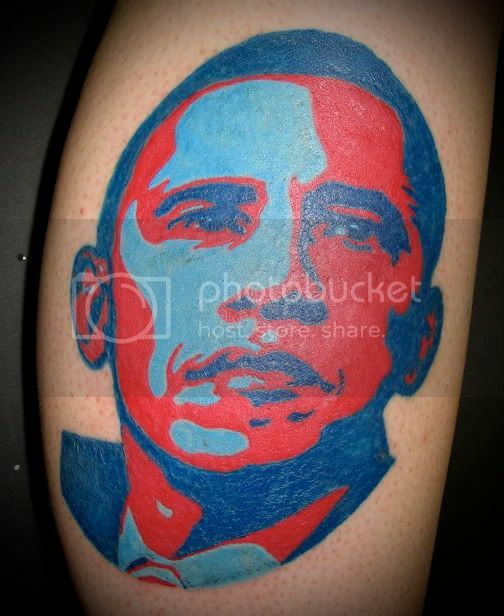 Well, we finally have a new Prez in office and what better way to celebrate then forever imprinting the iconic Barack Obama HOPE image by artist Shepard Fairey into your skin. Since the first African-American presidential nominee was disclosed, there has been such an electrifying craze that has swept the globe. 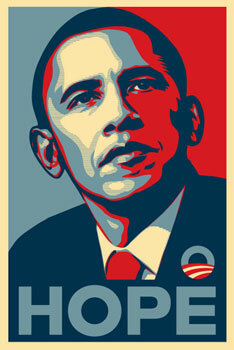 The backing from artists around the world propelled President Obama’s campaign to victory and created a phenomenon that has many reaching for their wallets as they attempt to collect a genuine Obama-inspired art print or tattoo bearing the pro-hope sentiment.